Discover resources to help educate and entertain your kiddos! Vermont PBS KIDS' CLUB is better than ever! Join today! Vermont PBS is excited to work with family friendly organizations to offer Kids' Club Members Only Featured Benefits! Join Vermont PBS Kids Club today for details on enjoying these benefits! VTPBS Passport includes 24/7 access on demand. A benefit for the whole family. NEW! Join our 2019 Birthday Club to see your child's name and birthday highlighted every day on our Vermont PBS Main Channel and Kid's Channel. The Kids Clubhouse monthly newsletter highlights Vermont PBS Family Events, the weekly Friday Night Family Night Schedule and more tips and deals all month long. A Special Gift and Family Activity from ECHO Leahy Center for Lake Champlain. Join Vermont PBS Kids Club today! 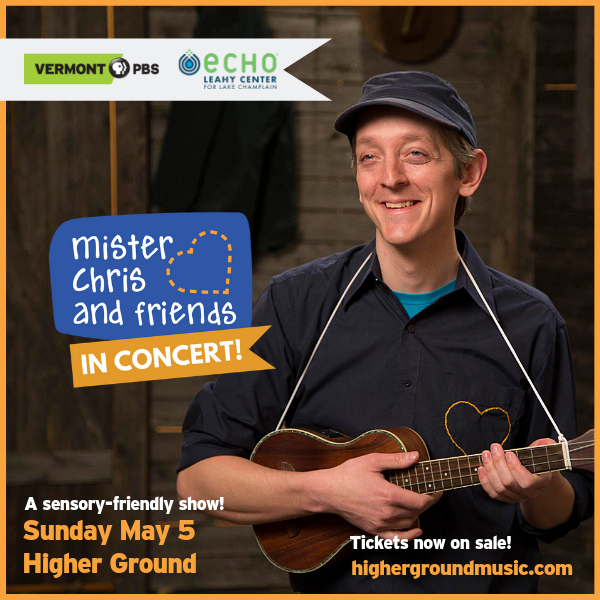 It's time to jump up and down for the Higher Ground debut of Mister Chris and Friends, in concert! Join the Mister Chris and Friends Band as they perform new and familiar songs, including favorites from our popular show. Get details and tickets. Haven't met Mister Chris Yet? Watch the trailer below, and we'll bet you will want to see the live show in May! Mister Chris and Friends, the joyful new kids music series from Vermont PBS, encourages learning, exploration, and fun for the entire family! Learn more and stream all episodes! 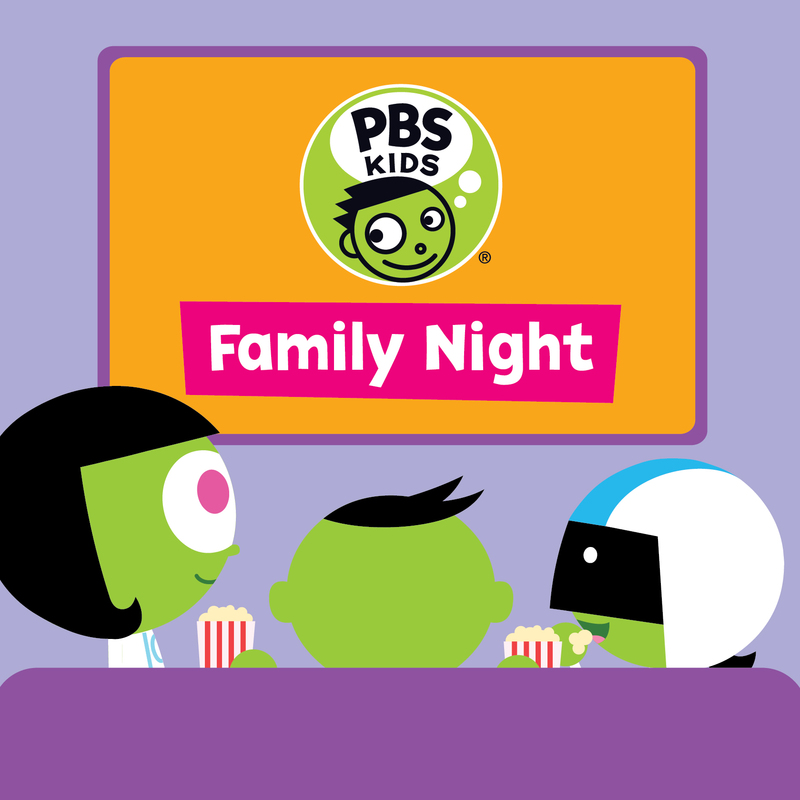 Did you know that every Friday night on Kids Channel, Vermont PBS highlights family favorite programs, during our weekly Friday Night Family Night from 6:00-9:30 p.m. Odd Squad Movie Marathon. Join your favorite math inspired agents as they save the world. Word Girl is powered with vocabulary. Join Word Girl and her sidekick for excellent literacy adventures. Cyberchase: Space Waste Odyssey special has a focus on stewardship through math and science. Nature Cat Marathon inspires us all to get outside and explore! New episodes featured have surprise special guests. Don’t miss it! Daniel Tiger is Coming to Our Neighborhood! 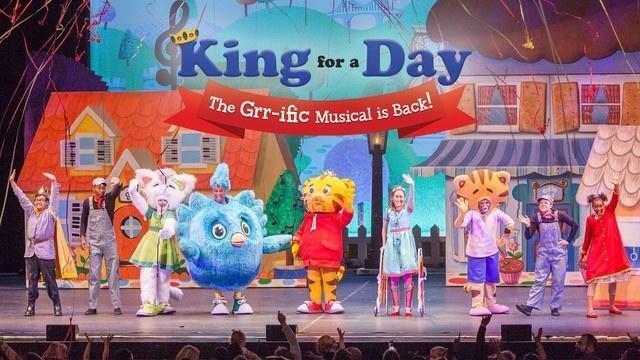 Vermont PBS Kids’ Club is happy to announce Daniel Tiger’s Neighborhood Live will be at the Flynn Center for Performing Arts on May 16, 2019! It started 50 years ago, a colorful community of monsters, birds, grouches, and humans. A place where everyone counts. Join us to celebrate Sesame Street’s 50th Anniversary! for a free, safe,educational and fun experience! The Daniel Tiger for Parents app empowers parents and caregivers with songs and videos from the hit PBS KIDS series Daniel Tiger’s Neighborhood. Learn more!